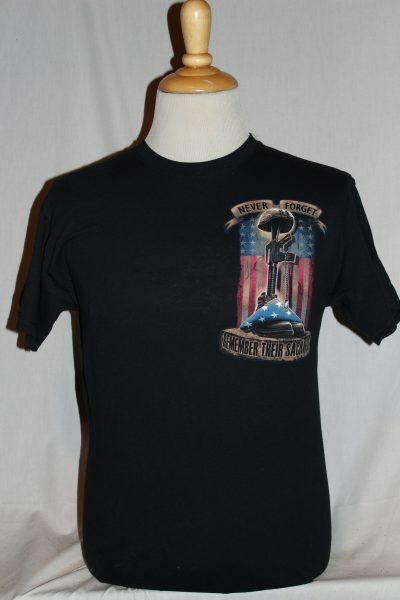 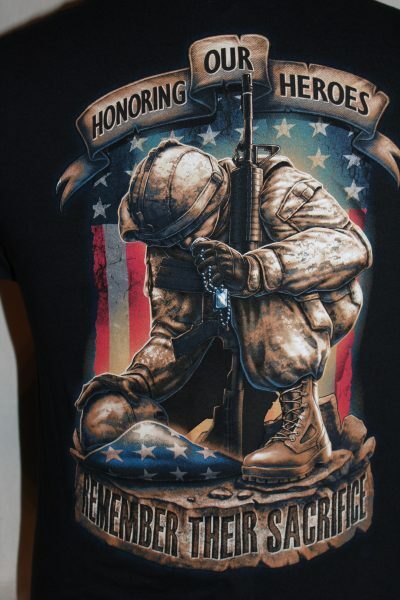 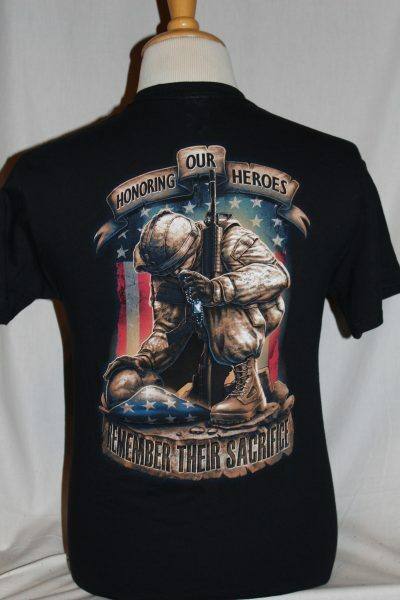 The Honoring Our Heroes T-shirt is a two sided print in the black. 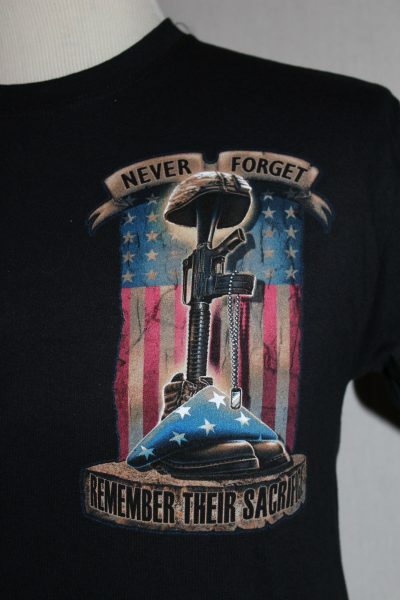 Front Design: Left chest American Flag, Helmet, AR15, and text. Back Design: Kneeling soldier superimposed on American Flag with text.